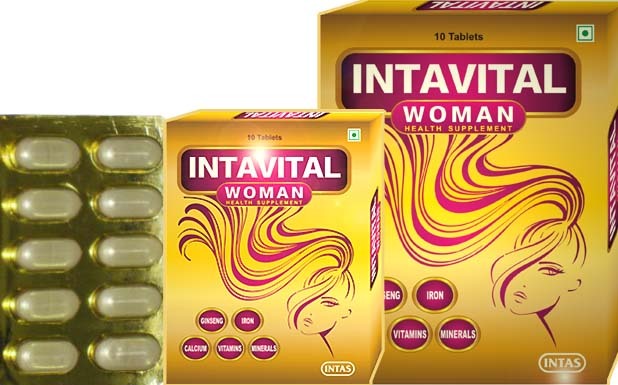 We offering the best health supplement with the combination of Ginseng, multivitamin and multimineral for women which help to enhance stamina and maintain good health. This combination fulfills the need of supplement and essential nutrients in body and keeps fit and active all day long. This daily food supplement provide Ginseng is a herb commonly used to increase energy and well being.The amount of vitamin and mineral cover the daily requirement of an individual. Health supplement for Woman is a well-balanced combination of Ginseng, vitamins and minerals in appropriate concentrations formulated to prevent Weakness, Fatigue & Tiredness and help to improve Immunity, Bone Health, Healthy Hairs and skins, physical and mental performance and for overall health. Due to hectic and fast-paced daily schedule, it often becomes difficult to take regular and proper meals. This combination of Ginseng, Iron, Calcium, Vitamins and Minerals are specially formulated for womans and it help to fulfill nutritional needs of the body. ●	This supplement is beneficial for all age women's. ●	Calcium, Vitamin D, Magnesium ,Phosphorous and other minerals are responsible for Bone Health. ●	It increases energy levels of the body. ●	Biotin, Zinc & Selenium responsible for Healthy Hairs and skins. ●	B-Complex, Iron & Ginseng help to Relieves Body Aches & Pain. Ginseng, Biotin & Magnesium help to maintain Strong Immunity. ●	Ginseng, Iron, B Complex, Copper & Magnesium Fights Weakness, Fatigue & Tiredness. ●	Folic acid is widely help to prevent birth defects. ●	It provides the body with essential supplements. Ginseng is considered a stabilizer, energizer, and stress reducer. It is used for an incredible range of conditions ranging from the simply annoying (the common cold) to the potentially fatal (cancer). A powerful antioxidant, ginseng helps to protect the body against tissue damage. Ginseng has been indicated in the treatment and prevention of a variety of illnesses and conditions, such as diabetes, low and high blood pressure, chronic fatigue, heart disease, poor appetite, digestive disorders. Vitamin A help to maintain healthy teeth, bones, soft tissue, mucus membranes, and skin. Vitamin D3 protects against adult and elderly muscle weakness and immune system issues, and lowers the risk of colon, breast, and prostate cancers. Vitamin B1 helps to improve memory and concentration. It also helps to relieve stress and strengthen the nerves. Vitamin B2 helps to repair damaged tissues and allows wounds to heal more quickly. It plays a supportive role in the treatment of anemia and used in treating sickle cell anemia. Vitamin B3 is a significant decrease in heart disease by lower the level of bad cholesterol. Vitamin B6 is also called pyridoxine. Vitamin B6 helps form red blood cells and maintains brain function. This vitamin also plays an important role in the proteins that are part of many chemical reactions in the body. Vitamin B12 like the other B vitamins is important for metabolism. It also helps in formation of RBC ( red blood cells) and maintains the central nervous system. Folic Acid is widely used to prevent birth defects, but it's not just for pregnant women. 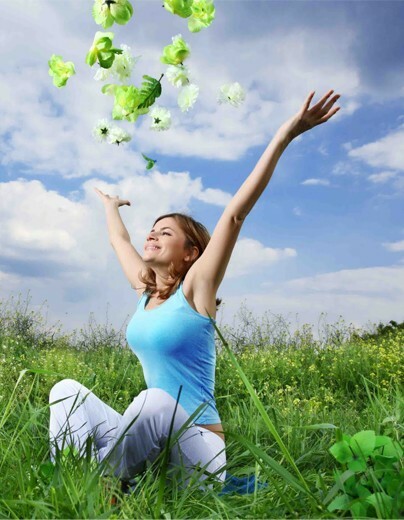 Folic Acid, also known as folate or Vitamin B9, has multiple health benefits for women. The human body needs folate to synthesize DNA, repair DNA, and methylate DNA as well as to act as a cofactor in certain biological reactions. About trace Minerals: Trace Minerals are also considered microminerals. They originate in the earth and are introduced into the body through our intake of food and water. Trace minerals are found in small amounts in the human body and are believed to play a role in overall health and bodily processes. They may play a significant role in fighting degenerative disease. Nutritional Role of Trace Minerals: Most people don't have a deficiency in trace minerals, but the aging process may contribute to a lack of optimal absorption, utilization, or retention of trace minerals. The quality of our foods, in relation to agricultural and environmental factors, may contribute to poor intake of these nutrients. Many other factors influence the balance of trace minerals in the body, including a person's diet, ability to absorb these nutrients, and drug interactions. Zinc: Build immunity, aid in indigestion. Potassium: Promotes mental alertness and lower blood pressure. Women during pregnancy, lactation or in a case of clinically proven vitamin/mineral deficiency and hypersensitivity to any of the ingredients. If tablet is taken on an empty stomach, rare side effects such as indigestion, heartburn or nausea might occur. However this supplement can be consumed easily by any one. 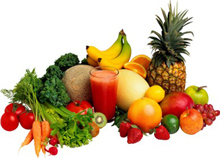 According to WHO recommends 5 – 6 serving of fruits and vegetables are necessary in a day to get our regular supply of essential vitamins and minerals and keep us fit and active. But most of our diets due to our changing life style do not contain the right nutrients. In addition modern agricultural methods wash off many vital nutrients from our food. So we can say that this health supplement for those women's who were not able to take a balanced diet with recommended serving of fruits and vegetables due to their hectic life style and untimely food habits have benefited with this composition to partially fulfil their requirements and thus keeping themselves healthy and minimizing the risk of disease. From the above discussion, it can be concluded that this combination of Ginseng, multivitamin with multimineral included trace mineral will improve the quality of life and maintain healthy skin, hair and nails, provide bone health, keeps physically active and mentally alert, strengthens immunity and promotes good health, fight against weakness, tiredness and fatigue, increase physically work capacity. We are making superior quality of health supplement that is used for maintain healthy teeth, bones, anemia, and formation of red blood cells. Our offered tablet is processed using high grade chemical compounds and other required drugs by our experienced quality controllers that ensure its quality, purity and chemical properties. Highly treasured among the clients for its reliability, accurate composition, excellent physical and purity, this tablet is offered to our esteemed clients at the market leading prices. Store in cool and dry place. Protect from direct light.